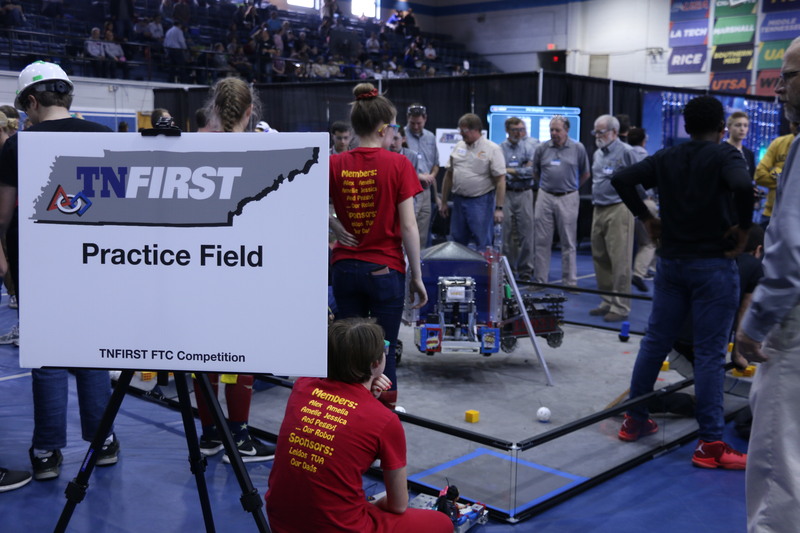 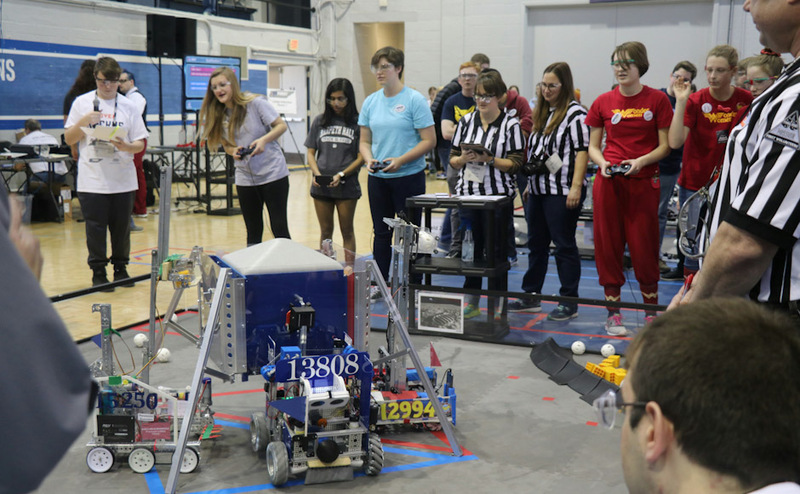 Twenty-eight teams from five different states competed against each other Saturday in MTSU’s Alumni Memorial Gym during the FIRST Tech Challenge Tennessee Regional Robotics Competition. 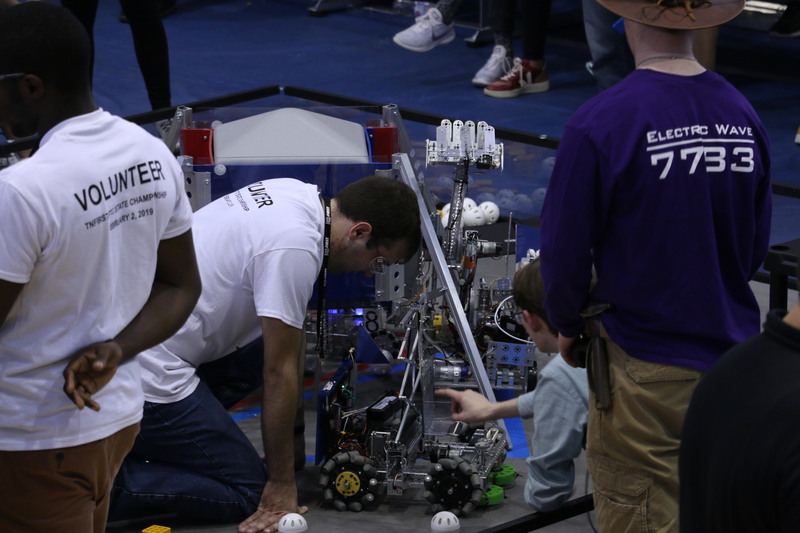 FIRST Tech Challenge focuses on teaching students to work as a team while developing STEM skills and practicing engineering principles in a hands-on way. 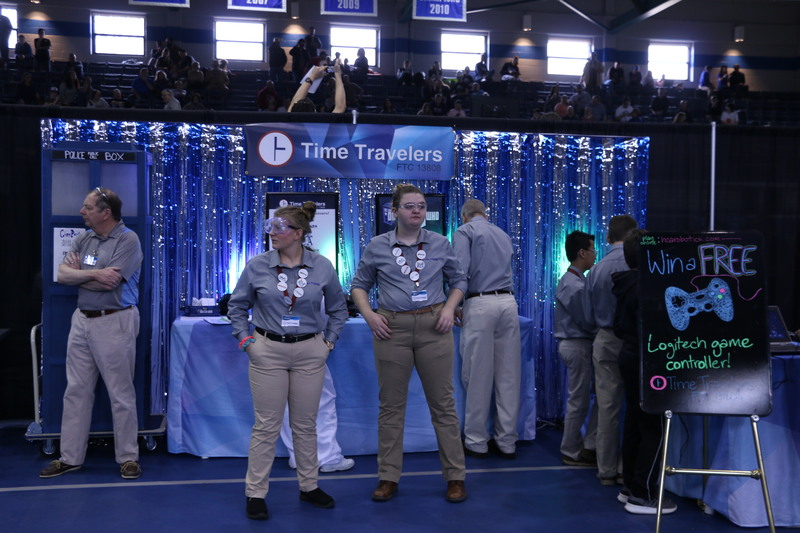 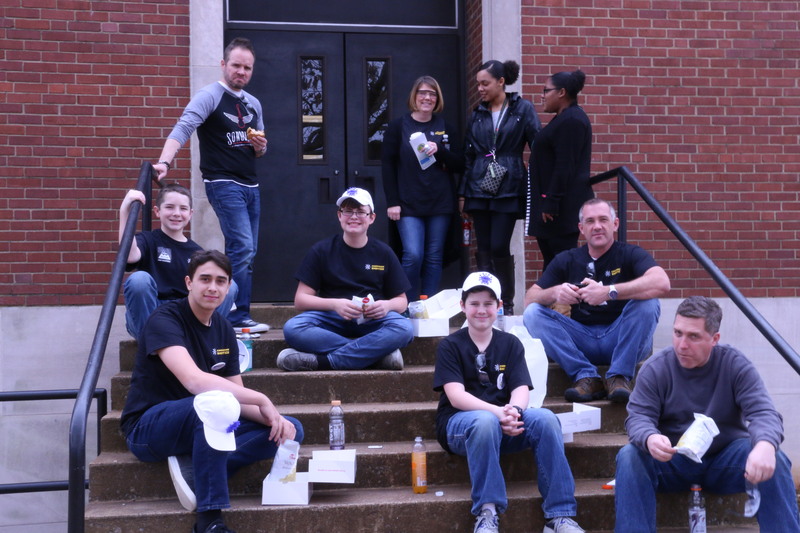 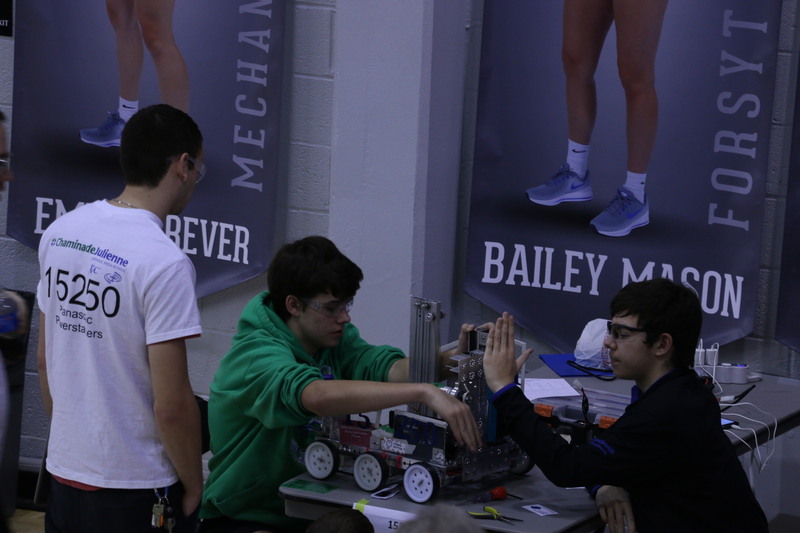 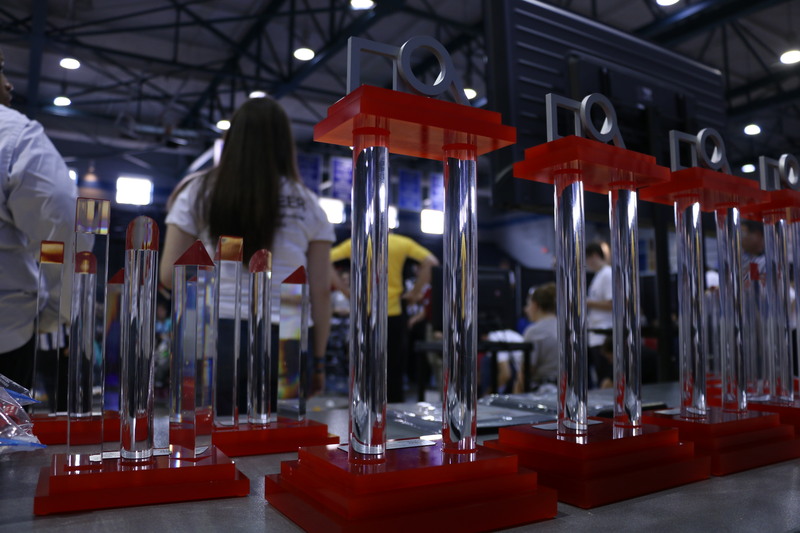 Leading up to the competition, students designed and built their robot, designed and marketed their team brand and participated in community outreach events. 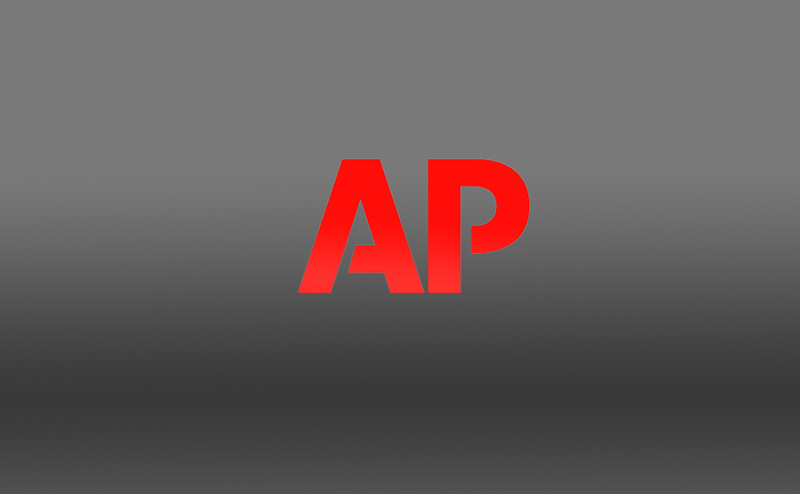 Over $80 million is given out in college scholarships. 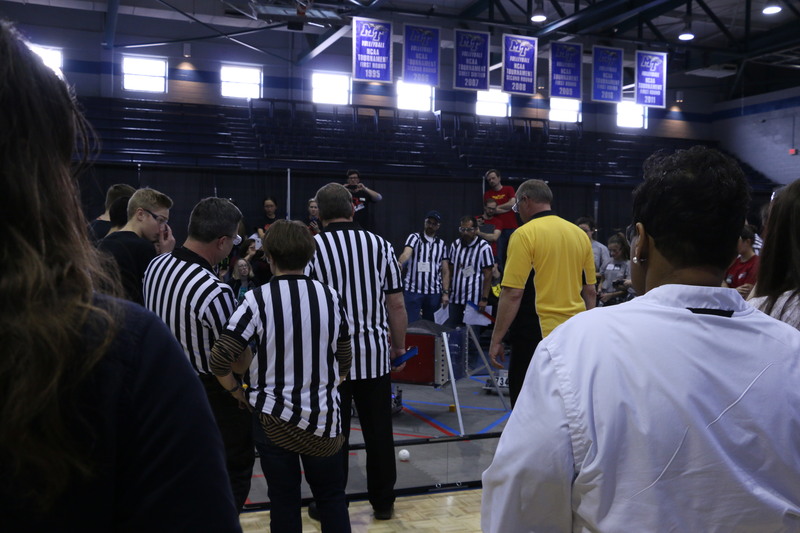 The competition, titled “Rover Ruckus,” was space themed, with teams conducting “lunar missions.” They were challenged to program and control robots in various tasks, such as pushing blocks, which were called minerals, into designated spaces, picking up other minerals and lifting them into a bin. 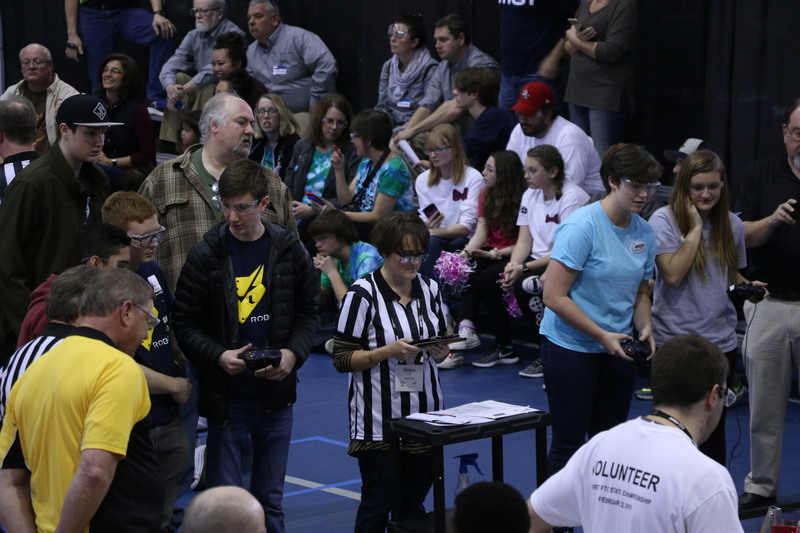 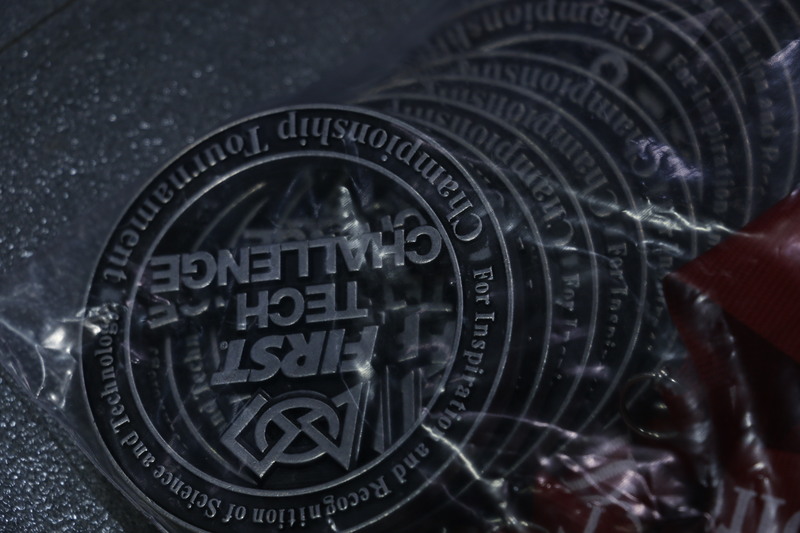 The competition consisted of 35 qualifying rounds, allowing each team to compete five times before moving to eliminations. 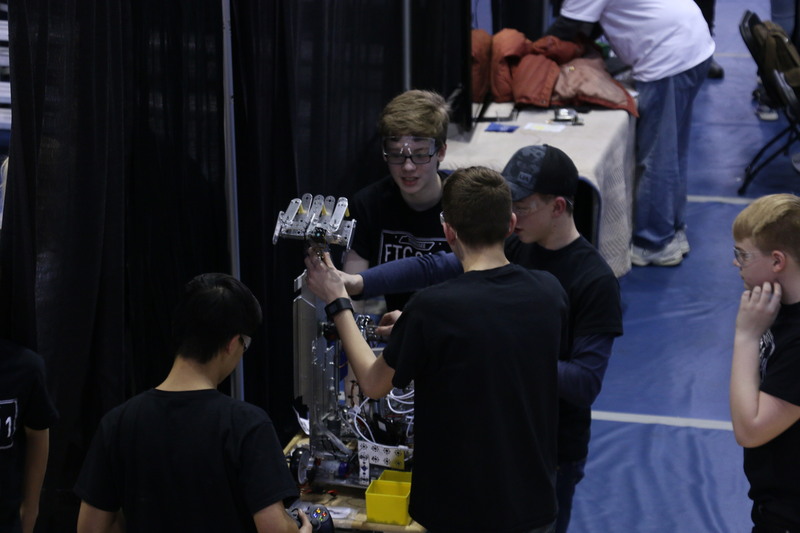 Like many of the robots, Sauer’s robot, named C4PO, was able to accomplish many tasks. 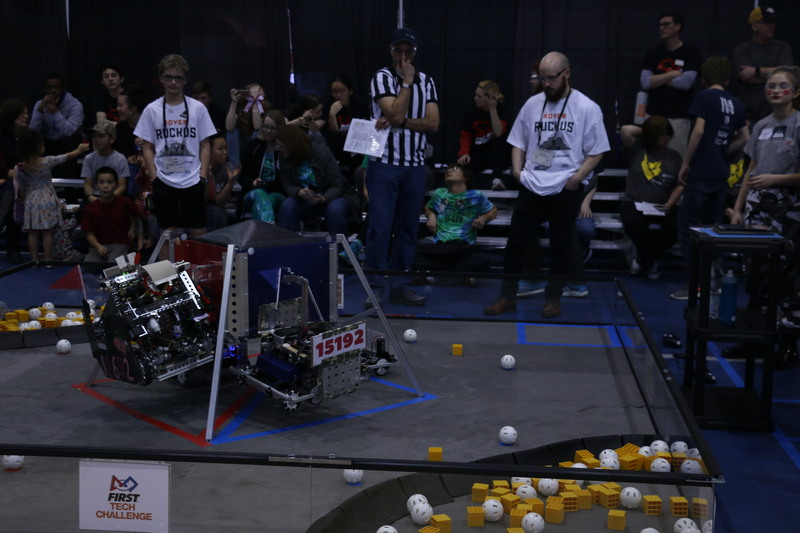 It was able to move whiffle balls and plastic cubes into a collector, as well as attach and detach itself from the start point. 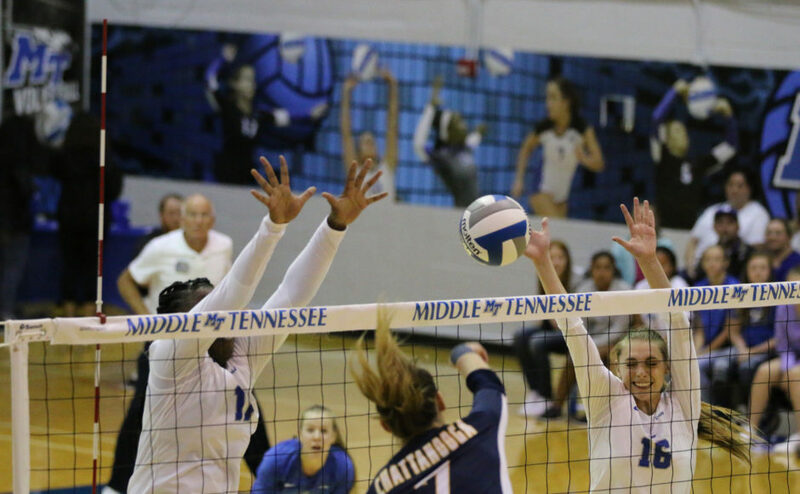 For more news, follow us at www.mtsusidelines.com, or on Facebook at MTSU Sidelines or on Twitter at @Sidelines_News.